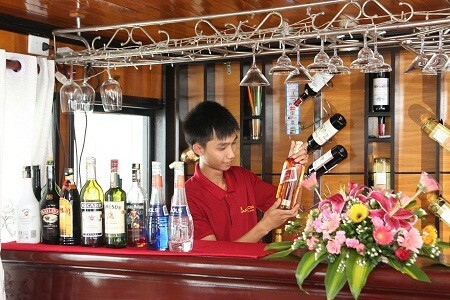 Our driver and tour guide will pick you up from your hotel in Hanoi. On the way to Halong bay, Having short break at stopover in Hai Duong Province for around 25 minutes for refresh and explore hand made products by disable local person. 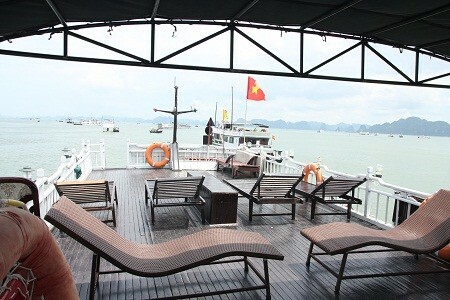 Ariving Tuan Chau harbour we will tranfer you to the cruise by speed boat to Cat Ba. 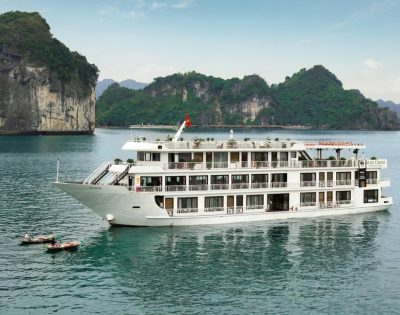 Welcome guests on Lavender Cruises, enjoy welcome drink and, receiving cruise briefing, safety instruction and check in cabins. Enjoy fresh seafood lunch. 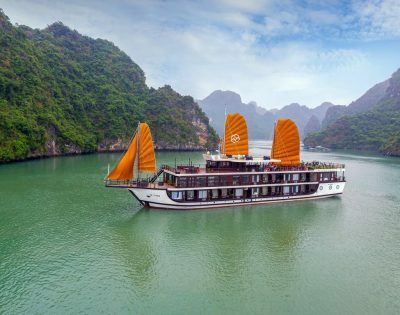 Lavender boat takes you to the most beautiful area of Lan Ha bay, do kayaking at “ bright cave & dark cave” where you find the spectacular beauty of the numerous islands and the Lan Ha bay. Explore Dark & Bright Cave by kayaking. 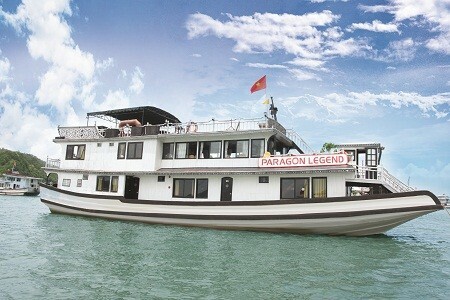 Come back to cruise later to enjoy sun set party and join a traditional cooking class. Seafood dinner is served. Enjoy delicious local food prepared and served for you by our wonderful onboard catering staff. This is a delightful meal in an intimate romantic setting. 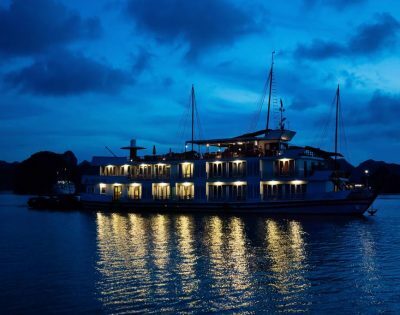 Evening activities: Enjoy the landscape of the bay at night up on the top deck. Relax whilst enjoying drinks from the bar. Try your hand at night squid fishing, watching a movie in the restaurant. Morning exercises on the Sun-deck. 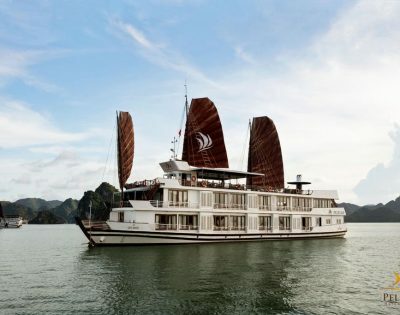 Have breakfast with Coffee, Tea and Bakeries on board. After breakfast, Swimming or sunbathing on the small ambiance beaches in Ba Trai Dao area. Check out cruise. 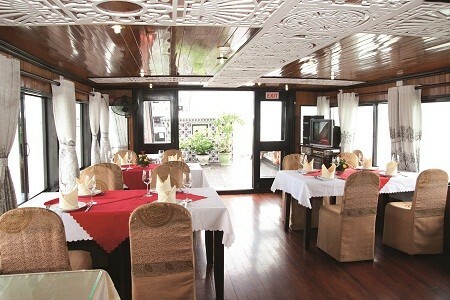 Our car will be at your disposal to pick you up then drive back to Hanoi. 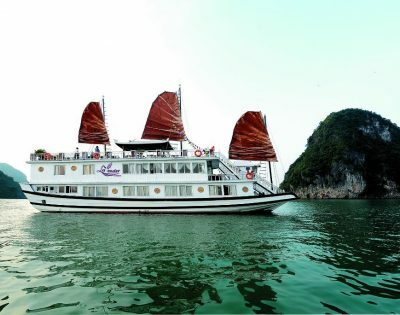 Thank you for visiting our Lan Ha Bay and Ha Long Bay tour 2 days 1 night on Lavender cruise. We are looking forward to serving you.